Like a lot of things in life, success comes down to a series of small important things done well consistently. The same applies to businesses as well. 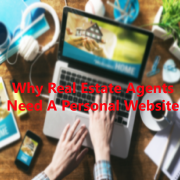 Unfortunately, when it comes to Real Estate marketing we see a lot of ordinary, run-of-the-mill businesses that are too busy to get themselves organised. From a marketing perspective, we can clearly see what separates the winning Real Estate businesses from the also-rans. So to get the year off on the right foot, and help you plan for a successful 2016, here’s a checklist of traits of highly successful, Real Estate firms. We’ve also contrasted their traits with those of typical ‘muddling’ firms, so you know what not to do. 1 They invest in their marketing. They don’t invest in marketing. 2 They learn about modern marketing. They don’t bother learning about marketing. 3 They delegate marketing activities. They abdicate marketing activities by hiring someone to “handle it” and then absolving themselves of all involvement. 4 They understand business strategy. They don’t understand business strategy. 5 They articulate a clear, focused strategy. They have no clear strategy, only objectives they think constitute a strategy. 6 They invest in design. Their branding is great. They don’t invest in design, and so they look amateurish and out-of-date. 7 They’re great at executing their plans. They’re lousy at executing their plans, and then blame others, a lack of “time” or money, or a mysterious ailment they call F.T.I. (Failure To Implement). 8 They have the courage to focus and to specialise. They try to be all things to all people. 9 They have a modern, mobile-responsive website with a great brand message. They have an old-school, out-of-date website with dry, boring content. 10 They have a strong social media presence. They don’t use social media, or dabbled in it and then stopped using it (which is even worse). 11 They consistently publish content to their blog-at least monthly, often weekly. They don’t even have a blog. 12 They consistently send out email newsletters. They send the occasional email newsletter, if at all. And when they do, it’s boring. 13 They understand the importance of creating great articles and content. They don’t understand that ‘content is king’ in modern marketing. 14 They have a documented Content Plan with their planned articles, events and campaigns for the coming year. They don’t plan their marketing content, events or campaigns. 15 They measure and track their marketing metrics. They don’t even know what marketing metrics are. 16 They love technology and innovation. They see technology and change as a burden. 17 They ooze enthusiasm and conviction. They’re low on energy, dull, frazzled. 18 They know their strengths. They think they’re good at everything. 19 They stick to their core competencies and outsource the rest to specialist providers. They try to do everything in-house and ‘on the cheap’. 20 They see themselves as teachers, both to their team and their clients. They see themselves as technicians. 21 They love marketing, and see it as one of their competitive advantages. They loathe marketing, and see it as a an expense. 22 They have a clear vision for the type of business they want to build. They lack vision and clarity. So how did you go? How many of the 22 items put you in the MODERN column? And how many put you in the MUDDLING column? No matter where your firm’s marketing is at, there’s always room for improvement. For growth. And you can have a clearer strategy. Better content. Stronger branding. A more modern website. More effective social media. More consistent blog posts and in email newsletters. Smarter marketing technology working for you, including marketing automation. 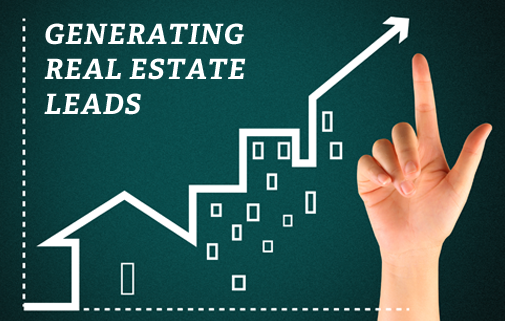 Real Estate marketing success usually comes down to consistent effort doing the right things. These are what set the winning real estate businesses apart with their marketing. And they’re the things we love to help firms implement. To put a winning plan and outsourced marketing support team in place for the coming year, make a time to have a chat with us. We can identify what you are currently doing well, and areas that can be improved, and from there we can scope and price marketing activities that will help you join the winning ranks of the remarkable, fast-growth Real Estate businesses. We would like to acknowledge Michael Carter from practiceparadox.com.au who specialise in providing Marketing services to Accountants for this list. If you are an accounting firm then check out Practice Paradox.